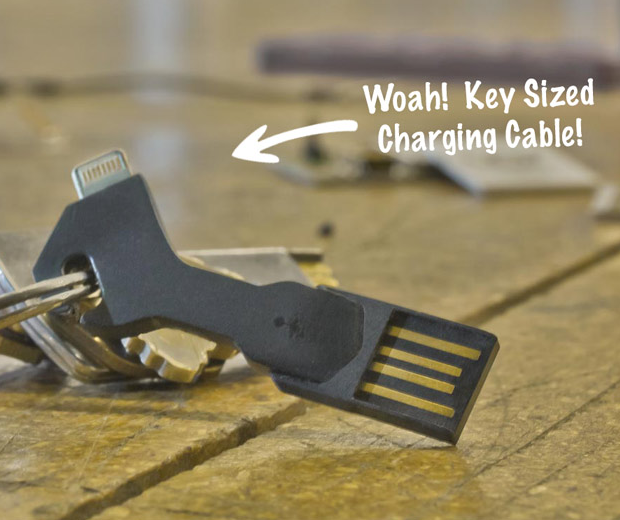 The lightning ChargeKey works with iPhone 5/5S, lighting iPad + iPad Mini and the Micro USB ChargeKey with anything else that takes Micro USB, like Android phones, cameras and games controllers! 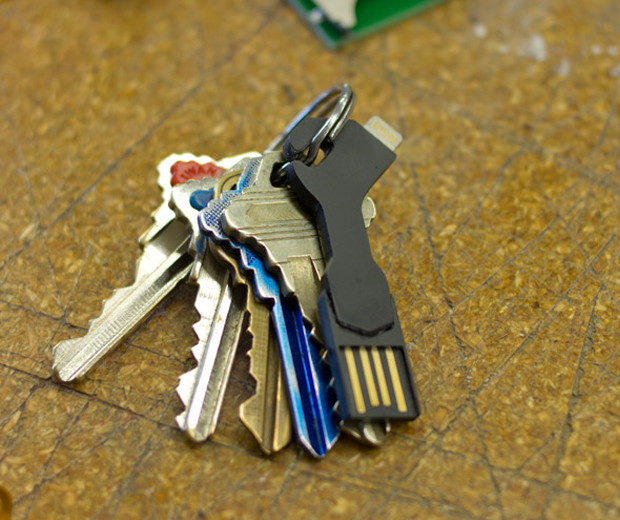 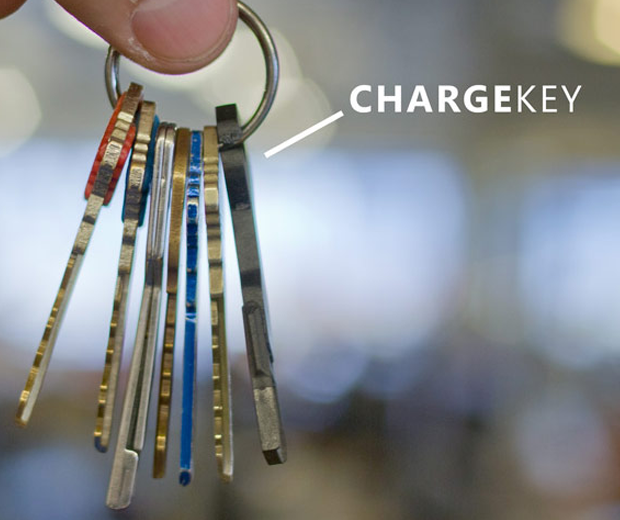 Use the ChargeKey anywhere to charge or sync you phone, the keyform fits perfectly on your keychain, blending in and taking up minimal space. 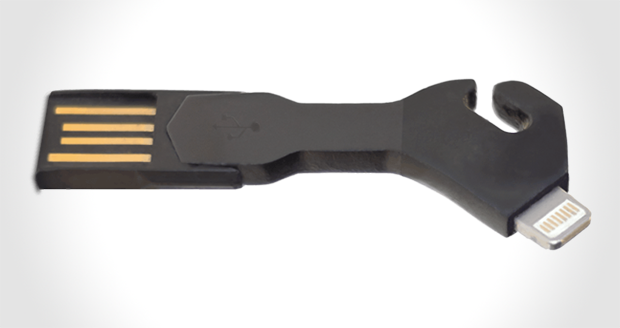 Nomad also do a ChargeCard which works with your iPhone 4 and 4S.